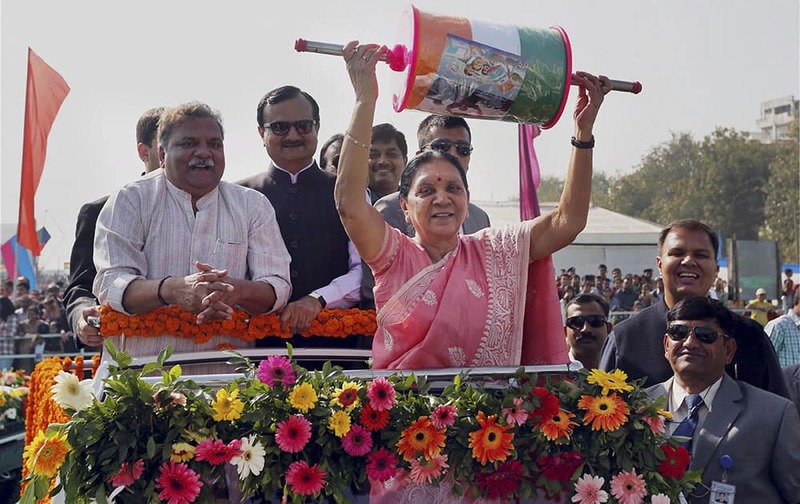 Gujarat Chief Minister Anandiben Patel during the International kite festival at riverfront in Ahmedabad. 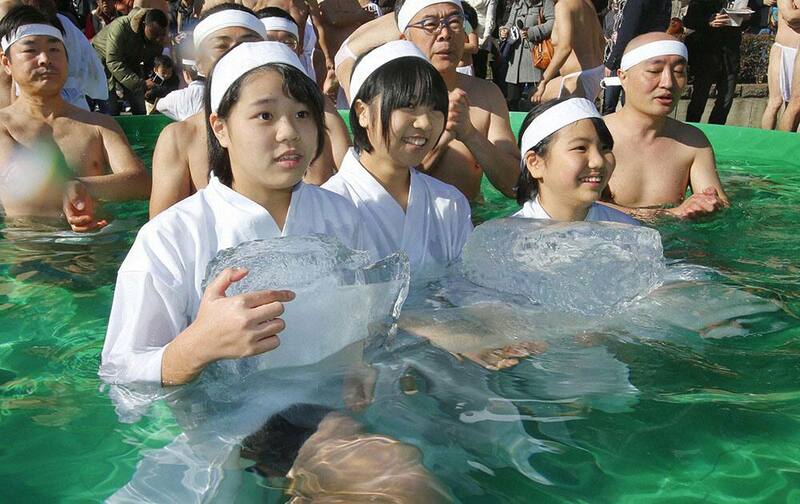 High school students hold blocks of ice as they join other bathers to pray for the healthy new year while dipping in a cold water tub at a park by Teppozu Inari Shinto Shrine during a winter ritual in Tokyo. 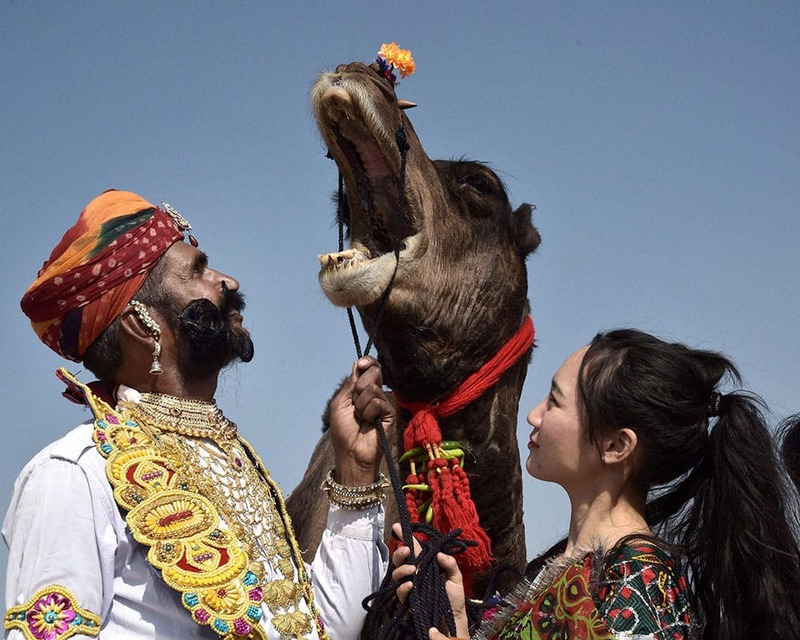 A foreign tourist looks at a mustached performer standing with his camel during the first day of the ongoing 23rd International Camel Festival 2016 in Bikaner. 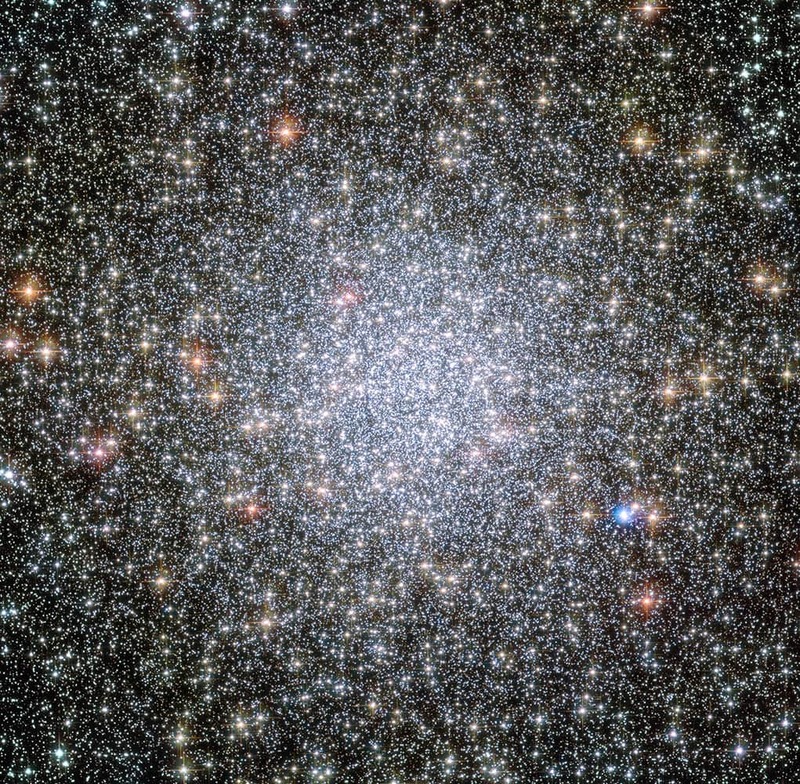 This undated image made available by NASA shows the globular star cluster 47 Tucanae photographed by the Hubble Space Telescope. 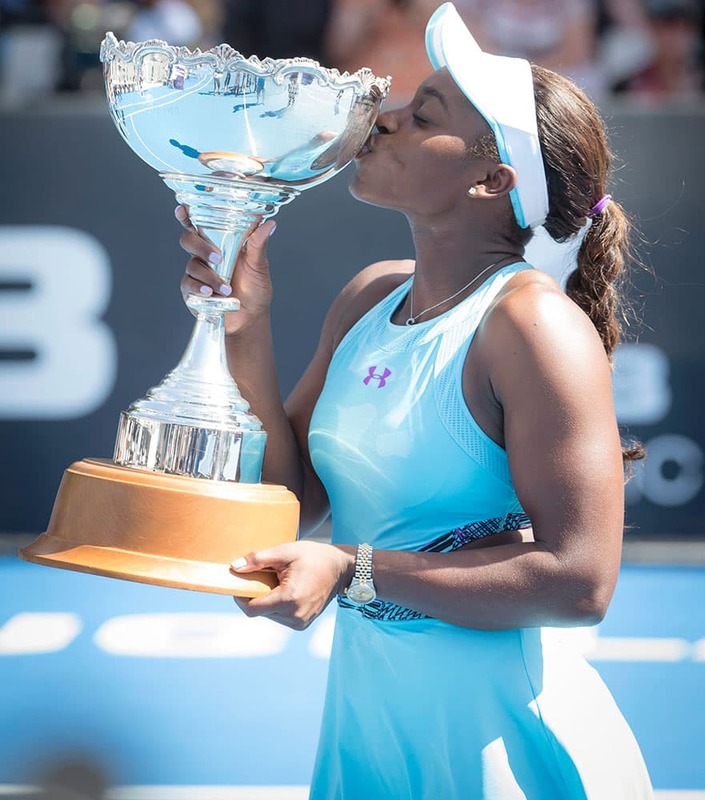 Sloane Stephens of the U.S. kisses her winner's trophy after defeating Julia Gorges of Germany in their final match at the ASB Classic tennis tournament in Auckland, New Zealand. 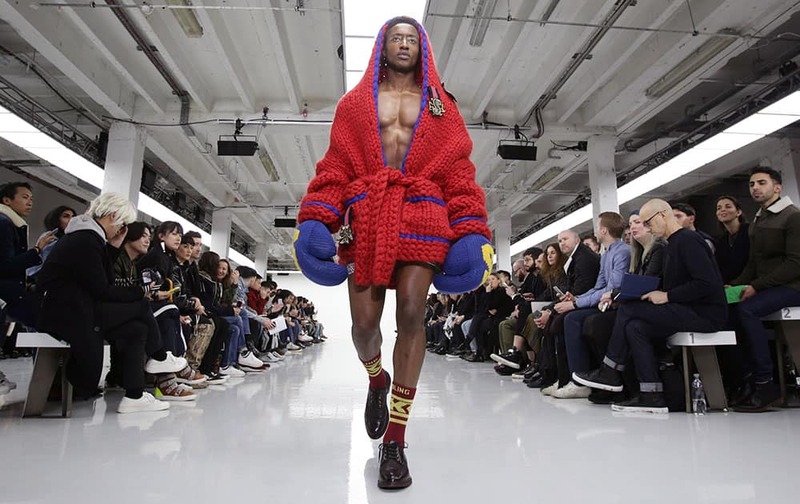 A model displays a creation by SIBLING, during their Men's Autumn and Winter 2016 collection show, in London. 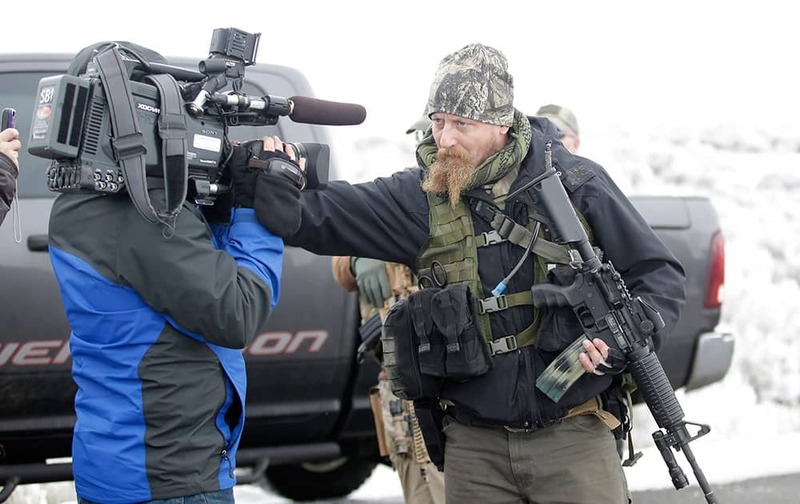 A man standing guard pushes a videographer aside after members of the "3% of Idaho" group along with several other organizations arrived at the Malheur National Wildlife Refuge near Burns, Ore.
Hyderabad: Winner of Miss Twin City-2016Akshita Srinivas posing with runner-ups. 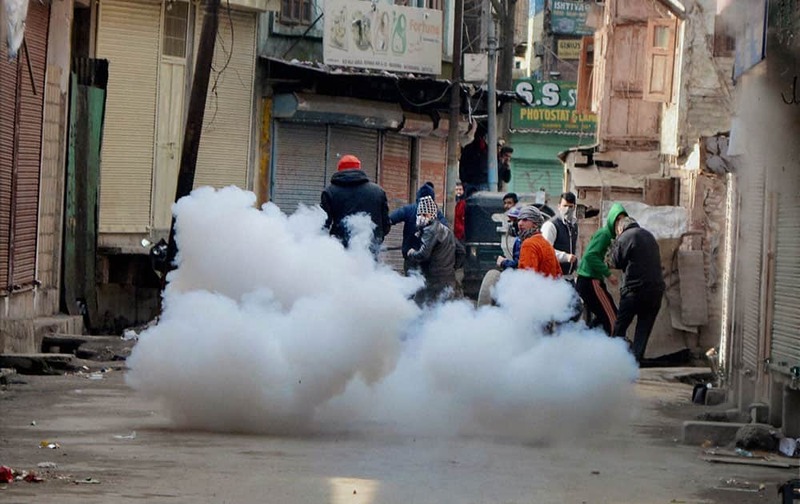 Stone throwing youths run for cover amid bursting tear gas shells fired by police to disperse them during clashes at Maisuma in Srinagar, which erupted after the arrest of JKLF Activist Ashiq Hussain. 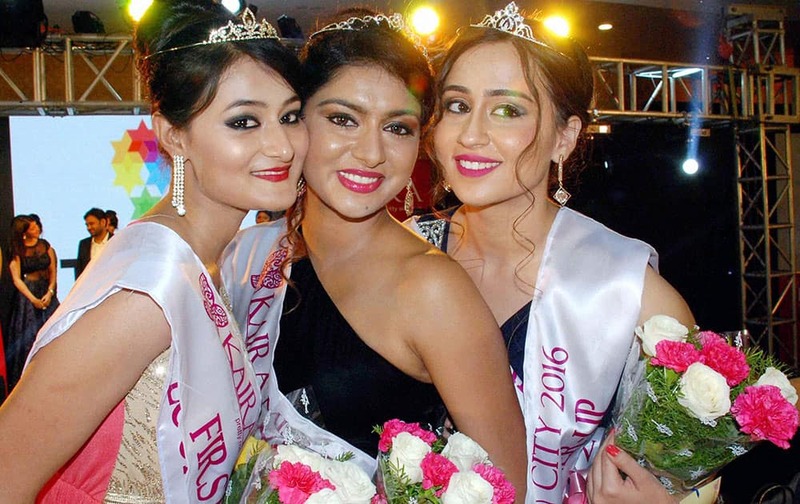 Vidarbha batsman Apoorva Wankhedel (L) celebrates with captain Faiz Fazal after winning knock against Hyderabad during Syed Mushtaq Ali T20 Trophy match at Vidarbha Cricket Association (VCA) Stadium in Nagpur. 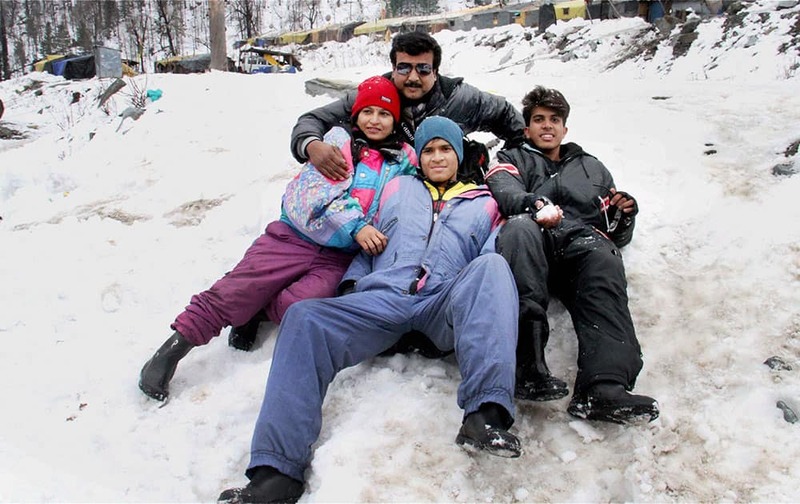 Manali: Tourists enjoying in the snow draped Manali in Himachal Pradesh on Saturday following the recent fresh snowfall in the state. 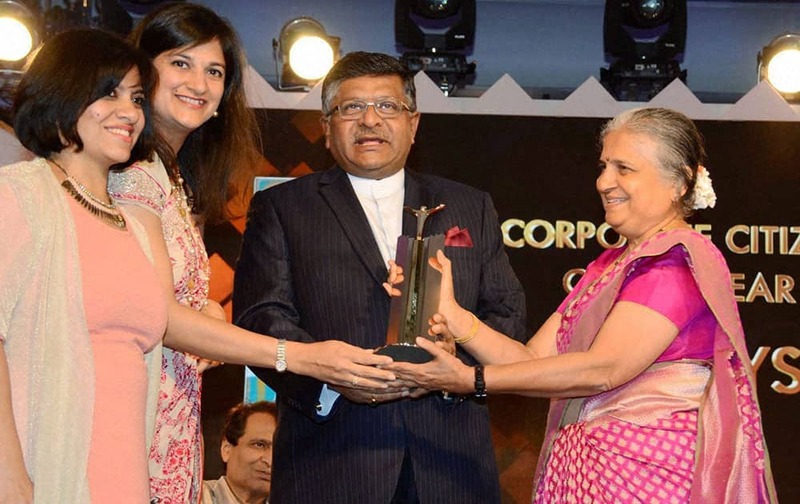 Sudha Murthy receiving award from Union Minister Ravi Shankar Prasad in Mumbai.